Maja Salvador is one of the hottest stars right now. Apart from her impressive (and seductive) acting skills in ABS-CBN primetime show The Legal Wife and Bridges Of Love, we can never forget how she shook her booty to the beat of "Twerk It Like Miley" for the first time on ASAP. Despite the fact that many stars have already done it, the 27-year-old star still didn't fail to entertain us. She continues to tease us with several eye-popping dance numbers every Sunday noon. That said, we think the Dance Princess deserves to rank high on this year's FHM 100 Sexiest list. She landed at number 18 in 2015 and we think she deserves to make it to a higher spot this year. Check out her most sizzling snaps and be the judge. She looks gorgeous even if she's not wearing a two-piece. She can compete with Maine Mendoza's Dubsmash videos. She can dance her way to your heart. 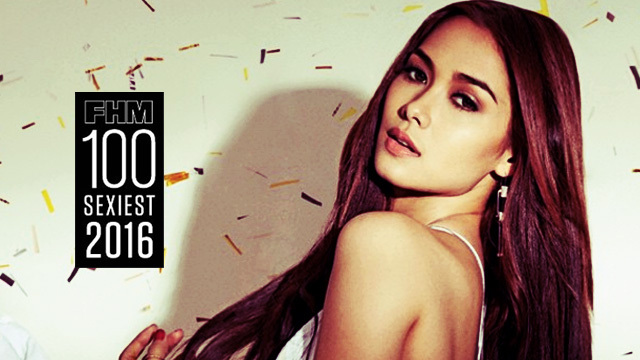 Do you also think Maja Salvador deserves a spot on this year's FHM 100 Sexiest list? Of course, you do! Click here to vote for her now!